If you were challenged to come up with a recipe that featured the three main ingredients of spinach, chickpeas and pepper (any sort) what do you think you would come up with? It’s a tough one. I know. 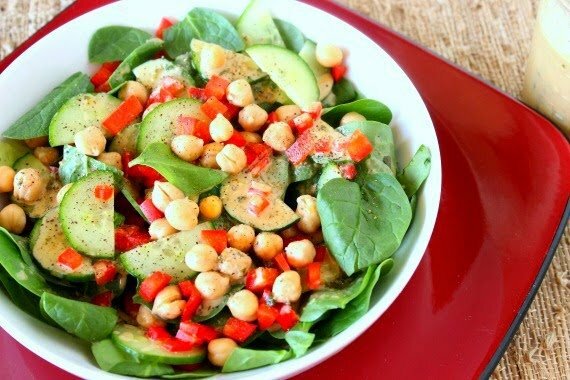 I came up with this recipe for Spinach, Chickpea and Red Pepper Salad with Asian Cashew Dressing and I think it’s a pretty darned good one (if I do say so myself)! This fresh and healthy salad takes only a matter or moments to assemble and would be perfect as a light summertime lunch or dinner. 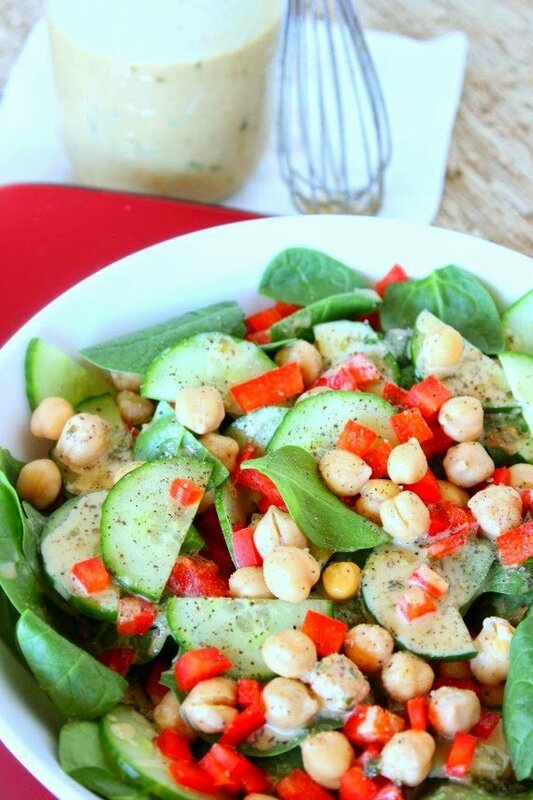 The chickpeas provide the healthy protein your body needs, the veggies taste bright and lively, and the Asian Cashew Dressing is deliciously nutty with a hint of sweetness. 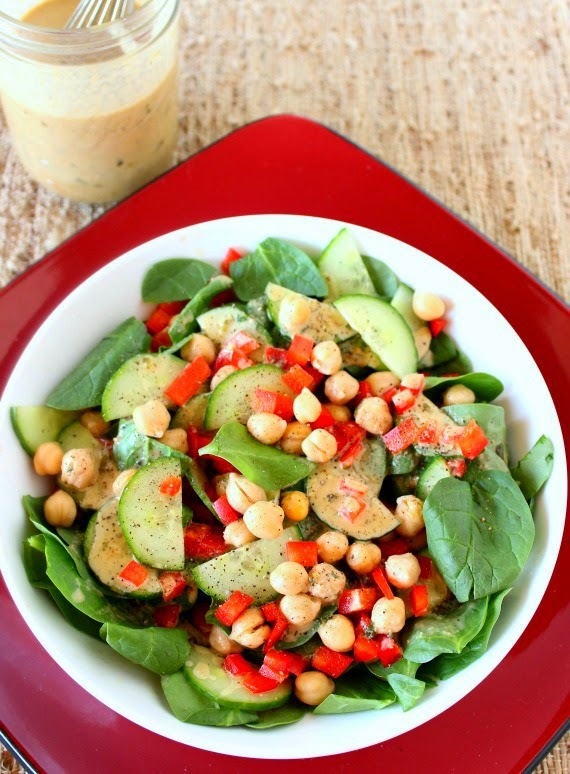 -In a large bowl, layer the spinach, chickpeas, red pepper and cucumber. -In a jar or medium bowl, whisk together the cashew butter, cilantro paste teriyaki sauce, honey, sesame oil, orange juice, salt and pepper until creamy. -Drizzle the dressing over the salad and serve.